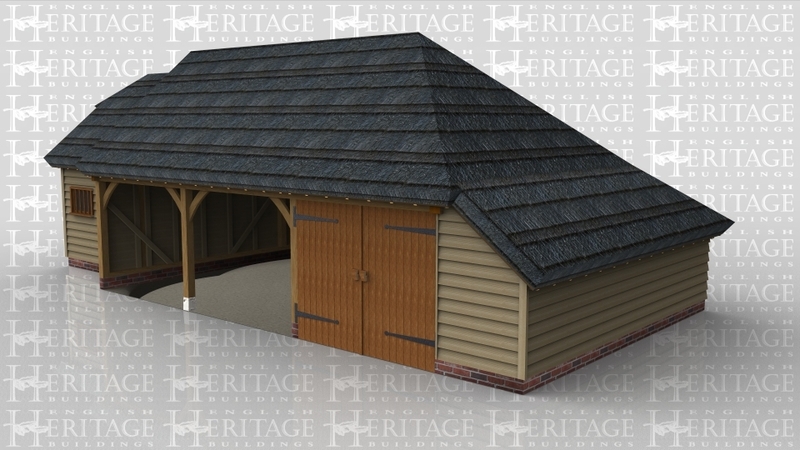 A 4 bay oak frame garage with a thatch roof made up of 2 frames. 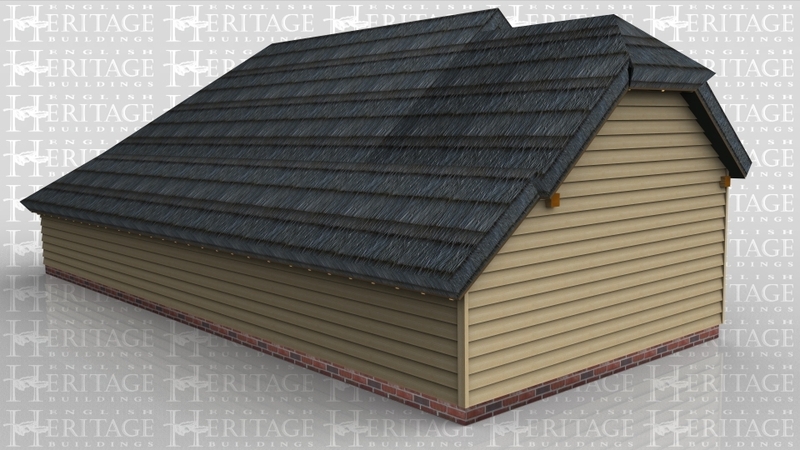 The first frame is a single bay in size with a solid sinlge door and a mullion window at the front, it also has a barn hip roof on the left and an internal aisle at the rear. The second frame is 3 bays in size with 2 bays left open at the front while the third is enclosed with a pair of iroko garage doors and has an aisle on the right and rear.